Dental Patients being charged twice? I heard on the radio today, (BBC dentist article) that ‘some NHS dentists’ are playing the system and charging patients twice for the same treatment. It is a highly emotional subject for many, and it pains me that the some parts of our media take advantage and sensationalise aspects of this very difficult subject. A number of news reports have even neglected to point out that this situation is only relevant if you are an NHS patient. I do feel the need to stick up for the vast majority of dentists, because I know many who still work within the NHS system, and without exception they are honest hard working professionals providing the best service they can, within, what has to be said is a very narrow framework afforded by their NHS contracts (managed by the local Primary Care Trusts). I know those of you who know me will have heard this before, but I think that the problems of providing government regulated (tax funded) ‘dentistry for all’ are once again shown up in sharp relief. 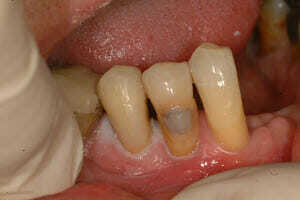 Dentistry is now not only about stemming pain, it is about the long term benefits of the work carried out. In our opinion, it is better to spend more time and money on something that lasts longer. There is a whole other conversation about how the work looks (aesthetic or cosmetic) and self esteem, but in this context we should also see it from the society’s point of view (government). Where does the line get drawn between stemming pain, and providing long lasting quality work? The vast majority of us pay taxes. How much should we spend on medical ‘non-essentials’ that don’t save lives – of which dentistry is one. The above issues mean that the government is forced to ‘ring-fence’ nhs dentistry to prevent dental costs spiralling out of control at the expense of those essential bits of medicine which save lives…. in this instance means capping fees (forcing dentists to use cheap materials and work faster than they should) and limiting what treatments can be used and when (ie only ‘low cost’ treatments approved). The results are disgruntled dentists, disgruntled patients and a subject which recurs every time the media has a ‘slow news’ day! Now I’m just waiting for the obvious response to this email which is, ‘Fine, you think you can do any better? The real 4th Emergency Service? 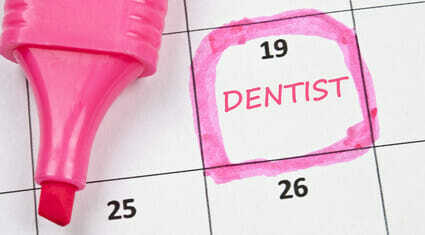 This Saturday June 5th sees the inaugural opening of our Saturday emergency dental clinic. And we’re excited about the idea. Damien is a dentist with a very special interest: he is also a trained sedationist and has a wealth of experience working with nervous patients, providing high quality, painless dentistry. He teaches both at the London Hospital and at Guys. Perhaps of equal importance is his chairside manner – calm, considerate and professional -he always puts his patients at ease. Don’t take my word for it, ask the nurses! Linda has been a dental-nurse for more years than she cares to remember. She is specially trained in Orthodontic nursing and has worked much of her life in Hospital dentistry providing Emergency and Special care. Linda and Damien have worked together for a while now and their approach to patient communication comes from the same place: empathy, enthusiasm and expertise. Wendy is the Emergency Dental Team Appointment Coordinator. Her role is to ensure that the whole operation runs smoothly. Wendy knows all about this because she has managed a busy NHS emergency clinic for years. 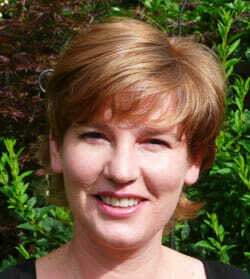 Wendy is efficient and experienced but above all approachable. She is the lady on the end of the phone when patients call in and ensures that they get the appointment and care that they need. I enjoy the art world and get out to galleries and shows when time permits! 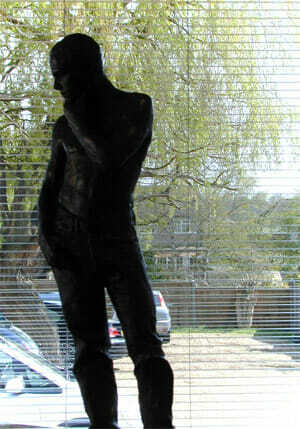 Many of you will be familiar with our ‘pondering man’ sculpture: that handsome young man, stripped to the waist who welcomes allcomers through the front door! We always wanted to help local Essex and London based artists and show their art at the surgery, and we have finally got off the ground with it! Our first art on show is by a young man called George Winks, now living in London but originally from South Africa. You can get a flavour for his art linked here on his website but look out for his paintings next time you come to the practice. All the art you see from George, and future artists, at Winning Smiles can be taken home, for a fee, whilst 100% of payments for paintings will be passed onto the artist!